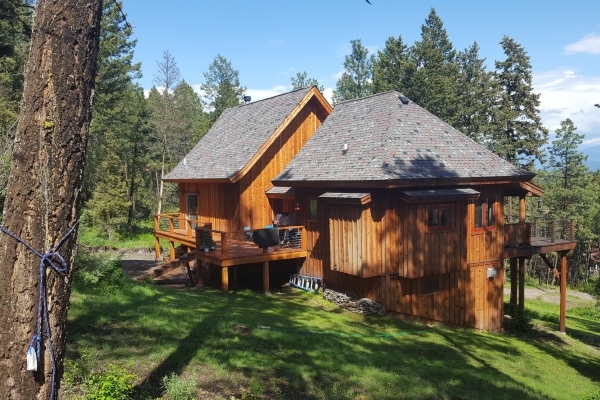 Spectacular Flathead Lake views from this amazing handcrafted rustic style 3 Bed and 1.5 Bath house located in Somers. Barn wood interior finish came from an old barn in Malta, MT. Most everything in the house was custom designed and handcrafted with some of the finest craftsmanship! 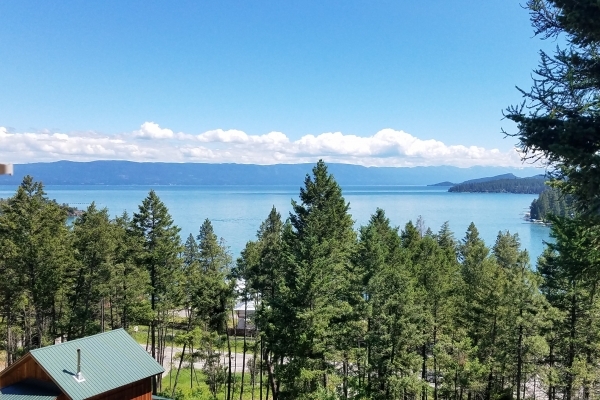 Insulated shop with garage underneath, Guest cabin in the back and within walking distance from swimming area and public boat launch on Flathead Lake! Moose horn chandelier in the family room goes with the seller but the seller could replace to look same for a price.